EASY Apple Waffles recipe! 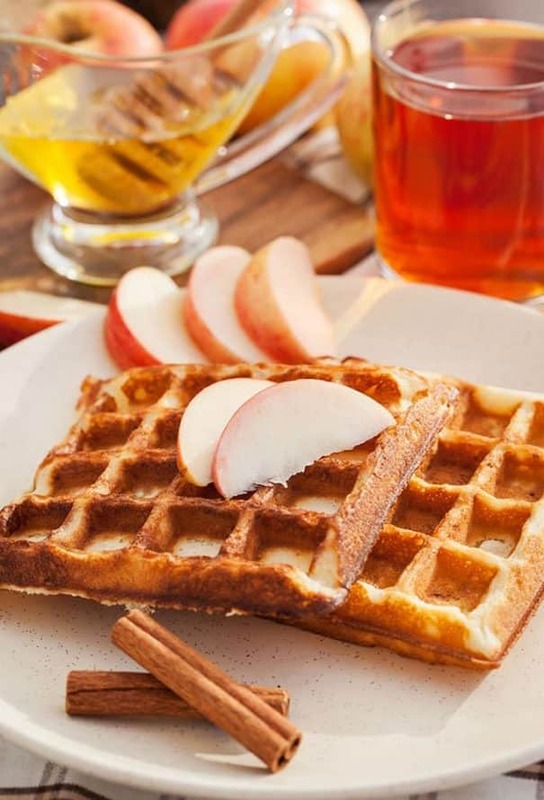 This healthy waffle recipe include fresh shredded apples and cinnamon! They are simple to make for a Fall breakfast! Serve with maple syrup on top! My family LOVES them! Can you smell Fall in the air? Nope, me either. In NYC it’s in the high 80’s and it doesn’t feel like Fall is around the cornet yet. But that doesn’t mean we can’t pretend it’s Fall and make Easy Apple Waffles for breakfast! These waffles are delicious and use fresh apples in the batter! Do you go apple picking? We love visiting the apple orchards in Upstate New York and discovering new apples (while picking them straight off the tree!). My other favorite part of visiting an apple orchard is the barn that sells apple donuts and fresh apple cider! Yum! I love spending my morning apple picking and then enjoying doughy apple donuts for lunch! We always pick a big bag of apples, enough that we can make apple pancakes, apple chips, apple juice and these apple waffles with! I told you… we really love apples! These Apple Waffles are super soft – just like donuts! The smell (and the taste) of the cinnamon baked into the waffles will definitely remind you of Fall. The recipe calls for 1 1/2 teaspoon of cinnamon, but you can use more or less depending on how much cinnamon you want. I find that 1 1/2 teaspoon is pretty perfect and isn’t overwhelming. 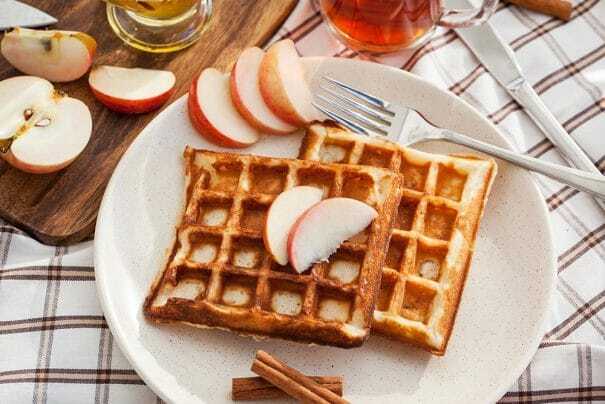 I will often make a big batch of these apple waffles so we can enjoy them throughout Fall for breakfast and for dinner (who else loves breakfast for dinner?). To save them, I freeze them in freezer bags which will make them last for months. Because sometimes we have busy mornings, I can easily defrost a waffle for my daughter and know that she’s eating a good homemade breakfast. My family love these waffles any time, but we especially love them for weekend breakfast! During the weekend, there’s no rush getting out of the door. Sometimes my toddler will even help me prepare the waffle batter! After that my family gobbles up these apple waffles! Mix apple, milk, butter, egg and vanilla in large bowl. Add flour, baking powder, sugar, cinnamon and salt and continue mixing until smooth. Add batter into preheated waffle iron. Cook until crisp, about 4-5 minutes a piece. Serve immediately. We Grew Celery For The First Time! Enceladus’s First Big Road Trip to Maine! My apple tree has gone crazy this year-this looks like the perfect recipe to use some of them up! Printing it now! We have so many apples and we love waffles so what a delicious combination! Going to try it thus weekend! Thanks for sharing! We love waffles and eat them for supper on Sunday evenings. I’m adding this to my recipe list. 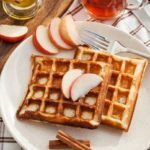 I love finding new breakfast ideas for fall and while I always see pumpkin recipes, this is the first time I’ve ever seen apples included in waffles! Printing this one off now! We picked apples at the orchard and I was looking for new recipes to use them in! This is perfect! I will take two of anything apple!! These look and sound amazing!!! I love the picture of the apples in the orchard. Sooo pretty!!! What a yummy recipe for a fall breakfast! Thanks for sharing! Happy Fall! This looks delicious! Pinned and going to try this soon!! We love waffles on the weekend, so when the honeycrisp apples start appearing, I will definitely make these waffles. Pinned the recipe! BTW I love that you do tea swaps. I’ve been swapping tea with a few Dutch gals on Instagram, and it’s been so much fun! Who doesn’t love snail mail???? You had me at easy and waffles! Add in the apples and it’s a sure winner! I cannot wait to try this recipe. We have waffles every Saturday and these will definitely be in the rotation. Thank you for sharing. Happy fall! Looks delicious and pretty all wrapped up in one! My mouth is watering for these fantastic looking waffles! Love the idea of using shredded apple and cinnamon in them and can’t wait to try your recipe. There is a lot of imagining it is fall here in Florida these days too, but these yummy apple waffles are a great place to start! These sound like a great way to start out a Saturday morning too! Apple waffles! Never would have thought of it! Definitely need to try this! Apples are definitely a fall favorite around here, so I can’t wait to test these waffles out! Yum! Going to loooove trying this out for Sunday breakfast…looks absolutely delicious! This sounds SO good. What a great recipe for crisp fall mornings. We had crazy warm temperatures too, but it’s finally cooling down… hopefully a little fall air is on its way. Yum!! Apples in waffles! Great idea! I’m thinking these would go so well with a warm maple cinnamon syrup!! Delic! 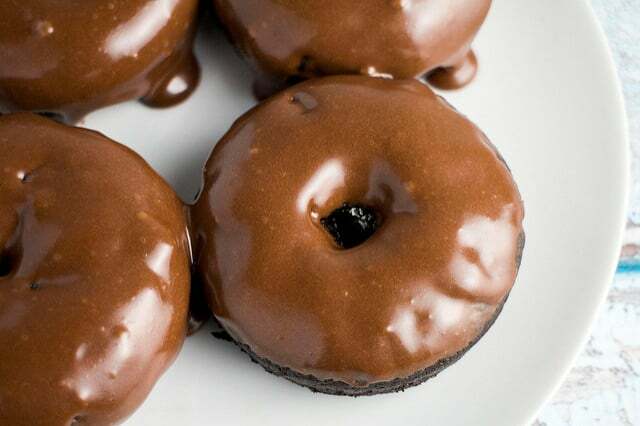 Those look wonderful, my mouth is watering! Yum! These sounds simply amazing. Pinning! 🙂 Glad I found you through Mommy Moments today. These waffles look amazing, pinning for later, thank you for the recipe!!! Delicious sounding and beautiful pix. Thanks for sharing. Yummmmm. This is almost making me wish we had a waffle iron! Thanks so much for sharing at the #happynowlinkup! I wish I could do apple picking one day! The apples are so gorgeous and the waffles are delicious!! I am glad that you have joined Fiesta Friday this week. I hope you are having a fab time! Thank you for sharing at Dishing it and Digging it link party. We loved your recipe and it’s going to be featured this coming Sunday. Thank you for sharing. I love this idea! I always try to make double batches, one to enjoy and one to freeze! Hope you like these waffles! 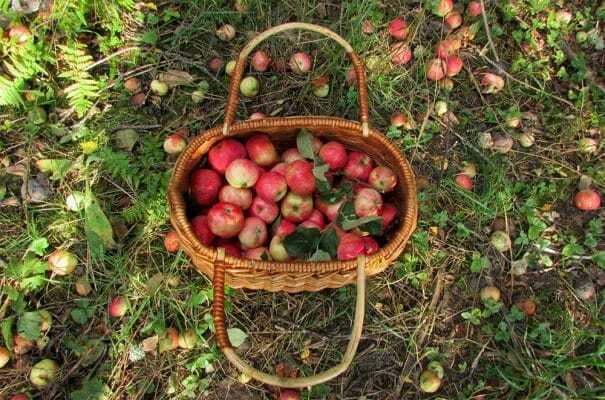 I’ve never had the pleasure of picking apples and I would enjoy that very much. Your waffles sound delicious. Hi Pamela! 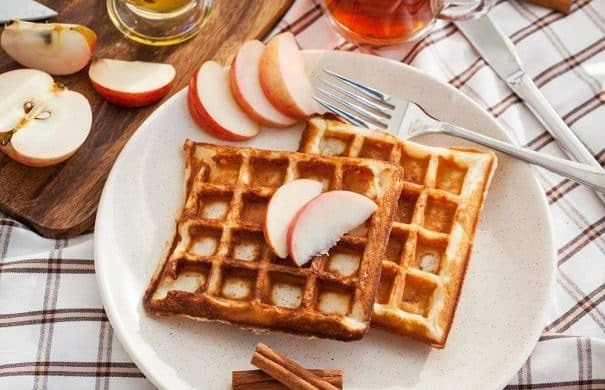 These easy apple waffles look absolutely delicious! Pinned it for later, definitely going to try making these 🙂 Thank you so much for sharing with us at Dishing It & Digging It & congratulations on being featured this week! What wonderful waffles! I love apples in baking but have never used them in waffles before. They are perfect for fall. Pinning and also featured at this week’s Hearth and Soul Link Party. Thank you so much for sharing with us, Pamela. Thank you for sharing, i will certainly try it out.